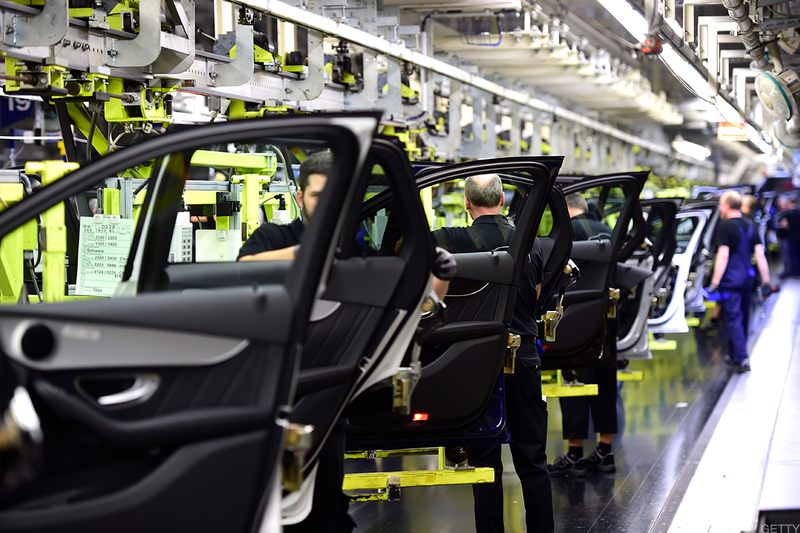 Most automakers were getting a lift Wednesday as reports circulate that the U.S. will hold off on auto tariffs while discussions take place between top trade officials. Stocks like Toyota Motor (TM - Get Report) , Honda Motor (HMC - Get Report) , Daimler (DDAIF , Fiat Chrysler (FCAU - Get Report) , BMW (BMWYY and Volkswagen (VLKAY all caught a lift. Notably, General Motors (GM - Get Report) and Ford Motor (F - Get Report) gave up their gains from the opening bell, slipping lower into afternoon trade. The catalyst comes from D.C., as investors become more hopeful that the administration will not slam the brakes on the global auto market by slapping import tariffs across the board. At least, not yet. The Trump administration is reportedly holding off on new tariffs for now, as the Commerce Department revises its report on the impact of car imports. A result of a probe that began in May, the report covers everything from vehicles to auto parts. The report is due in February and should the Commerce Department find that imports are a threat to national security, Trump will have 90 days to decide whether to impose tariffs up to 25%. Trump has already voiced his displeasure with the amount of foreign automobiles -- Mercedes-Benz in particular -- that are all over the country. Should tariffs hit the industry, a lot more than Mercedes will be hurting. While the automaker does produce some vehicles in the U.S., as do many automakers both foreign and domestic, almost everyone will feel the pinch. It will squeeze the bottom line for automakers and cause them to pass some of that burden along to customers. That will crimp demand from the public, hurting GM, Toyota and other automakers, and it will leave less money in consumers' pockets. The U.S. auto industry isn't exactly robust, with the seasonally adjusted annual rate (SAAR) hovering in this 17 million to 17.5 million range for the past few years. Ramping up imports will hurt the industry even more, exactly at a time where automakers don't need anymore obstacles in the way. The question is, will trade talks progress nicely or will they hit more snags? A result of the former could lead to some relief, not just for auto stocks, but all stocks. Halliburton posted stronger-than-expected first quarter revenues Monday as a surge in global oil prices helped boost international drilling activity and offset rising costs in North America.